I know it's Monday and I always post music, but I'm posting something else this week! 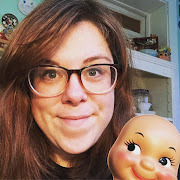 This is my blog, so I did make that rule. I'm allowed to break it! Sunday was Father's Day, but it was also my husband's birthday, so we spent the weekend celebrating. Donnie's only real wish was to go to a zoo, because although he's a little awkward with humans, he quite loves animals. I love that about him! Seriously, he sends me photos of random cute animals almost daily and always ask if we can have them as pets. The first time I ever saw him cry was when our pet hedgehog, Pixie, died. You get it- the guy really loves animals! So anyway, he requested that we go to a zoo. 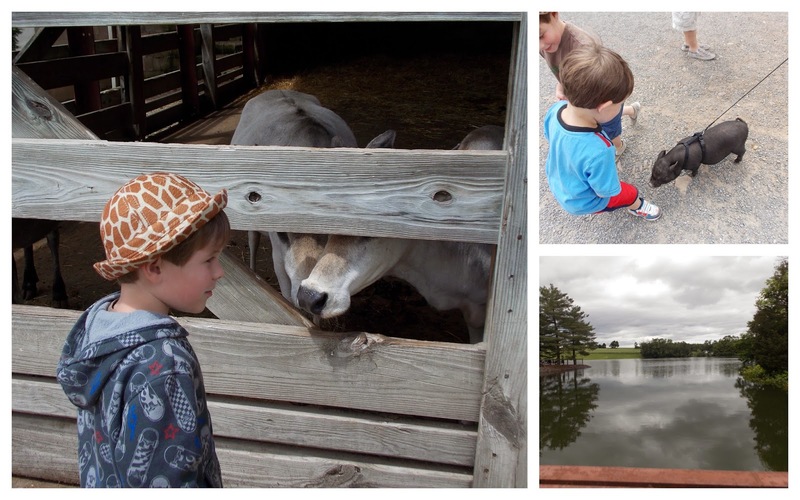 I suggested we try someplace new and after hearing good things from a coworker, we chose Lake Tobias Wildlife Park. Go to the website to read about this place's history. It's a neat story about a man who essentially just decided to start this whole thing himself. His family still lives on the property and helps with the running of the park. I'm really glad we chose it over one of the large major zoos, because it turned out to be so lovely! There were baby animals galore! Do you see that tiny wallaby?! And don't even get me started on the baby goats in the petting zoo! That's right, a petting zoo full of adorable baby animals to pet and hug and giggle over as they run by. Maybe that was just me. I am seriously fond of baby goats! There were also guinea pigs, the fattest pig I've ever seen, some sheep, and a random lemur in the midst of it all! You couldn't pet him, though, sadly. Lake Tobias offers a neat safari in old buses that are missing the tops. You are able to feed the animals, so they are quite used to the buses full of people and came right up to us! It's gorgeous scenery, even without all the beautiful animals, but it's especially cool to look back and see a herd of deer or cattle trailing behind the bus. 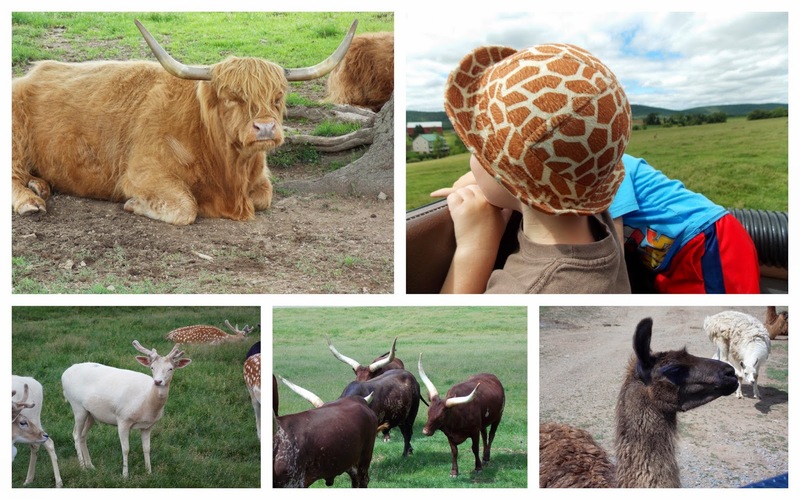 We loved how accessible a lot of the animals were there! 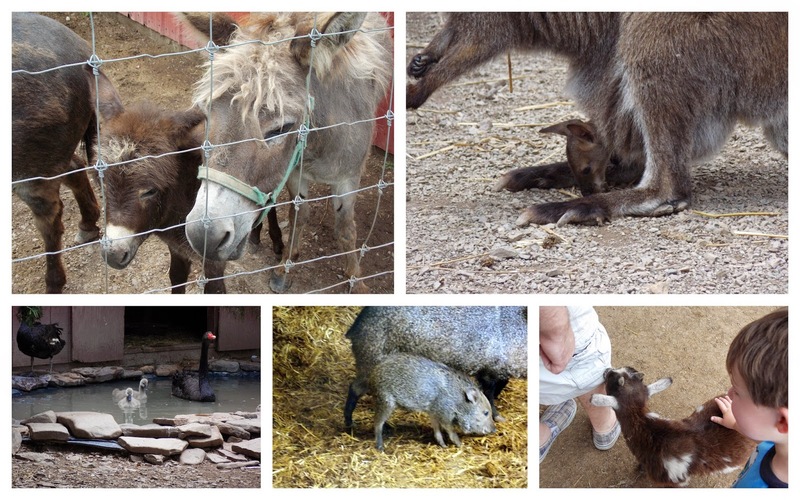 That adorable little pig is Hamilton and when we first saw him, he was in an enclosure with some emus! Then we met him again while he was on a walk. There was also a baby camel out for a walk at one point, lots of chickens and some peacocks just walking about freely, and a snake and baby alligator to touch in the reptile and amphibian area. There are tons of areas for picnics and playing and even a little walking trail that sort of goes along the rear of the safari area. It looks like they were adding a few things, so I can't wait to go back and see what's new!